In recent years we have seen a monumental change in people’s shopping behaviour. This has largely been fuelled by the ubiquity of smartphone, tablet and laptop technology as well as Internet connectivity improvements all across the globe. 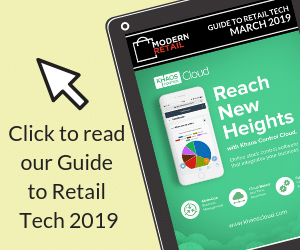 The emergence and existence of eCommerce websites and the evolution of user-friendly interfaces mean that offline and brick and mortar retailers have faced a competition they’ve not previously experienced. While offline retail is still the dominant channel, it’s a channel that constantly requires attention and effort in order to entice customers to keep coming back in-store again and again as opposed to buying online. One way that brick and mortar retailers can achieve this is through excellent customer service. Reaching a high level of customer service will deliver a positive experience in-store that customers will want to repeat again and again. Aspiring to deliver excellent customer service and actually delivering it are two very separate things. The only way that a store will achieve excellent customer service consistently is through their staff and that underlines the importance of hiring, training and retaining high-quality personnel. In a retail environment, reliable and honest staff are hugely paramount to the success of a business. Having reliable staff will up-sell to customers and in order for them to do this, they need to feel a sense of enthusiasm for their work and they need to feel a sense of ownership of their role. Training also is vital in order for your principles as management to stream down through to staff and for them to 100% understand company policy and ethos. The people at Storetraffic have put together this infographic below which details the importance of finding reliable staff; it indicates why and how to train them and it also gives some advice on the crucial retention of having reliable staff. Check out the full infographic for more on.